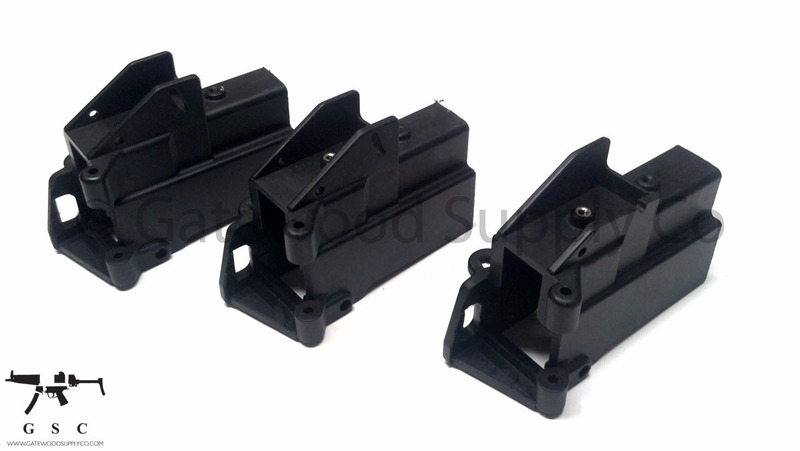 This listing is for a factory German HK UMP rear stub and hinge. The rear stub is long and includes a UMP marking on the side. The rear stub does not include a rear sight assembly. This part is perfect for adding a folding stock in a USC-to-UMP conversion project.